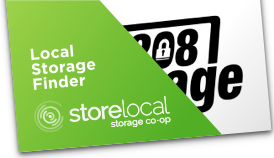 208 Storage will help you find, other friendly locations, in areas that we do not serve. The following facilities are NOT associated with 208 Storage! My husband and I have used this facility for about four months now, after switching from another local storage facility. We could not be happier with this move! The staff is fabulous, Sue and Craig are the best and are super friendly and always helpful! The facility and grounds are extremely clean and well-kept! Highly recommend renting a unit here! Sometimes it's so hard to find the right place to accommodate your needs. So, when I was looking for a storage unit I was a bit concerned with safety. First of all, I wanted to be able to go to a place that was ultra safe, clean, and also friendly. Those needs, along with kindness and hospitality were all met with the utmost professionalism when I met Craig and Sue. They made me feel as though I were at home just storing things into my garage. The warmth that these two extended towards me, is a feeling of comfort,t and I am very grateful to them for providing me with quality service that I could appreciate. This is the cleanest storage facility I have ever seen! Great convenient location in Ashburn near One Loudoun. I'll never use any other storage facility again! Great experience! Used them for 5 months and never had an issue! Very friendly personnel work there including the owners! One of the first assessments I make when doing business with an individual or company is to determine how passionate that individual is about the job or service they perform. I can honestly say that the onsite managers Craig J. and Sue S. exemplify that level of outstanding customer service and ongoing care required for long term customer retention. My decision to go with Security Public Storage was an easy one. It's the level of trust you have and maintain with helpful people like Craig and Sue that determines a good or bad business decision in life. This is an outstanding storage facility. It has all the signs of being run by an excellent management team. The floors are spotless, the halls well lighted, space is always air conditioned for customer's comfort, carts for customer's use, and someone always ready to help as needed. I am no longer young, and appreciate the service available.. I highly recommend Security Public Storage in Ashburn if you find you need more storage space. The facility is clean and the staff is very friendly and accommodating. The location is very convenient too since it is near Rt. 7 and Loudoun County Parkway. Excellent storage facility. Very clean and secure. Staff very courteous and attentive to customer needs. This is the best storage facility I have ever utilized. Craig and Sue are the most down-to-earth and personable business owners. They truly have their customers in mind. Public Storage is VERY clean. I have never had to worry about the safety of valuables. It is well worth the money! Thank you Craig & Sue! We've been customers of the Ashburn Public Storage for over a year and a half now and we could not be more pleased! We came in just as Sue and Craig took over and the difference is evident. Even though the facility looked and *felt* good before, Sue and Craig have worked so hard to make it GREAT! They have wonderful service (even treat my kids with respect and a little fun! ), will help at a moments notice and have definitely put great care and organization to the facility. If you need storage, I highly recommend this facility. Was moving some things out of my unit one night, didn't realize the time and doors locked. I was locked outside with my truck keys in my unit and belongings just at the door. I was able to get a hold of management after hours and they came down to let me back in. Really appreciated it. The management here are awesome and friendly. I just finished my term with Security Public Storage and they definitely met my needs. The facilities were clean, easy to access and very secure. I very much appreciated the temperature controlled climate as well as the convenience of the location. Having rented one of the larger units I was able to fill it temporarily with all my stuff while I was looking for a new townhouse to rent. It was very affordable! When I was done with the unit I cleaned it out and was appreciative of Ron working with me to check out. He was very courteous, professional and answered all the questions I had. The next time I'm in need of a storage facility I'll be back to Security Public Storage. Great friendly folks from the outset. Excellent space, well maintained. Well run business!! Our overall satisfaction with this company has been very positive. We received excellent service during the four months we were customers. Even through a snag upon our departure, the service department took care of all our needs and remedied the situation. Accidents happen; but delivering a high level of service to go out of the way and make things right makes all the difference! Highly recommend this storage facility in Ashburn! Facility is clean, well managed and well lit. This site is very accessible too. The onsite managers, Craig and Sue and staff are very friendly, courteous and professional. Great place to store your things. The onsite managers are very helpful and accommodating as well. awesome people, great service very clean place and very secure, Craig and Sue are the best friends that you can have. I've been a customer for three years and have found SPS to be very customer friendly and responsive. When I was faced with a situation where I needed to use a storage facility, I searched for locations close to home and I decided on this one. At first my main decision points were price and location. What else could a person need in terms of a storage unit? I was pleasantly surprised to find this little gem tucked away at the end of a dead-end-road in Ashburn. The managers, Sue and Craig, were impeccable with their level of service. They addressed everyone by name and established a rapport as if they have known you for a lifetime. The facility is very clean, has state-of-the-art security, and the icing on the cake is that they loan you a truck for move-in. It is not totally free, but the price is very nominal to cover additional insurance. Sue very diligently listened to my needs and made sure I had the right size unit. She also thoroughly explained all of the terms and conditions to ensure that I understood exactly what I was signing and exactly what the expectations are. I have no intention of keeping this unit beyond six months or so as a temporary storage before selling and moving. However, if I had a specific need for storage in the future, this will be my go-to place. I highly recommend this storage facility to others! Well maintained facility, very friendly and helpful staff they go above and beyond to make sure you are in the right unit for your needs. I recommend this storage to anyone. Nothing but good things to say about this place! Security Public Storage has been wonderful to work with! Sue walked me thru determining what size storage unit I needed as well as kept one on reserve in the event I picked the wrong size. The units are spotless and I feel safe with my belongings there. Sue and Craig run a great business, always friendly and eager to help!! So happy I went with Security Public Storage. This is a terrific storage place.. Exceptionally clean and well maintained. Climat4e control is a real plus. Every unit is easily accessed by virtue of the many doors. Carts make move in and out easy. The staff, Sue and Craig are both personable and efficient. I was recently able to downsize to a smaller unit there (yea!) and they could not have been more helpful. Highly recommend. I've been with SPS-Ashburn for almost 2 years and they have always been very helpful and nice. I think one of the great things about using SPS-Ashburn is the use of the truck when I initially put my things in storage. This is a great storage facility. 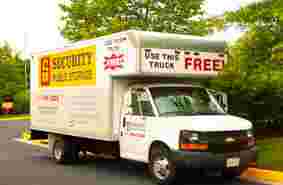 I had a really great experience renting a storage unit at Security Public Storage! Move in was very easy with the free truck use provided. All employees were nice and very helpful. Everything was clean and the extended hours for accessing the unit were very accommodating. The team at Security Public Storage in Ashburn VA is fantastic!! We are moving and they have moving supplies; with the best prices in the area, I checked . They have been very friendly and helpful. Thank you so much for making a stressful experience a whole lot better! Our experience with Security Public Storage in Ashburn has been fantastic. The place is absolutely spotless. Craig and Sue have been incredibly helpful. Access to our storage is easy and very secure. Thank you! Great storage facility! Staff is very helpful and accommodating! Convenient location! This location is fantastic! The managers are great people. Both Sue and Craig very helpful and knowledgeable. Especially for their merchandise: I told them I was going to get boxes from a friend who works retail and he informed me of reasons why I shouldn't. Not only will I know what quality/size boxes i would be getting, I will know its dimensions, how much weight it can hold (very strong by the way - doubles other brand boxes with the same size) and get it for a great price! They certainly supply anything you can think of to help you self move/pack your things (not kidding, even glass box dividers and plate dividers for your dishes!). I definitely recommend this place for anyone looking for a unit. They also have deals so depending on when you are looking you could get it for a better price! Great Location ! The managers Sue and Craig were extremely helpful and very knowledgeable. I would definitely recommend Security Public Storage for anyone looking for a unit. Thank You !! This facility is fantastic!! Helpful and friendly personnel. They treat you like family. The entire grounds and buildings are neat, clean and secure. 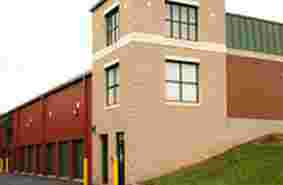 Recommend Security Public Storage in Ashburn for all your storage and packing needs. The owners are wonderful people. Security Public Storage - Ashburn is awesome! The facility and grounds are always neat and clean, and Sue and Craig are absolutely the best. I just visited them to downsize to a smaller unit and they could not have been more helpful or friendly. Craig reviewed my current unit and contents, and helped me determine what reduced size would best suit my needs. Sue then referred me to a group who could help with the move; that contact has already been made and I am just waiting for a call back with the date/time it will be scheduled. Wow - easy peasy! There are multiple sized storage units - inside and out - from which to choose at competitive rates AND they have referral and review programs that help to reduce your costs should you wish to participate! Who doesn't want to save $$? A win-win in my book. I highly recommend this Ashburn storage facility as well as Sue and Craig who truly make you feel like part of a family. Please visit them for your storage needs; you will not be sorry. Awesome staff and excellent, climate controlled facility! The units are pest controlled and very clean. They have great security and units are easy to access. I highly recommend Security Public Storage! The folks who run the facility are super kind. They're easy to work with and kept me posted on the unit I wanted when I was waiting for it to open up. It isn't 24/7 but they don't allow anyone in the units after 10pm I believe. You'll trip the alarm during nighttime hours. There's no gate to get in (more convenient for me). You have to punch in a code at a box near your unit and will then be able to open it without setting the alarm off. For $75 they can install a power outlet if you require one. And the outside units come with a lightbulb that activates with a timer box outside the unit. So far, very satisfied with the service and offerings. A little pricey, but I have a work discount too. That helps. We received excellent service. The owners are very friendly and knowledgeable. The facility is very well kept and they offer great pricing for their units. The owners are extremely professional and knowledgeable. They go above and beyond and did a lot more for us then required and expected. They were genuinely interested in making sure the storage unit fit our needs. The whole facility is spotless and well maintained. I would highly recommend this storage facility to anyone! Thank you for making our move so much easier and you are all such a pleasure to work with as well! The management is professional, very customer-focused, and the facility is state-of-the-art; immaculate, well organized, and very secure. 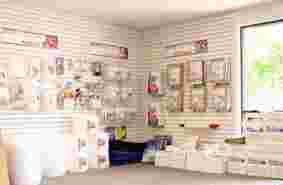 We have had experience with other storage facilities and SPS is, by far, the best. Highly recommended! This is the best storing adventure I have ever had in my life. The place is clean the service is most excellent I recommend this business to everyone who does mot want to worrry about thier belongings. Also the customer service is great!!! Sue and Craig set the standard for professional and friendly customer service. The whole team here makes walking in feel like visiting friends. Very accommodating, patient, and understanding group of people. Never had an experience with a storage company that could compare to this one. I highly recommend, if you've got some stuff to store, you swing by and give them a visit. Thanks for taking such good care of my stuff guys! Very friendly and met all my storage needs for my daughter's. The area including the unit is very clean and well kept. I would recommend this place to anyone looking for a unit. After seeing this facility and learning they had a loaner truck, I moved my belongings from a competitor's facility and couldn't be happier. Clean facility and dollies are readily available. Having a loaner truck is such a great benefit!! Eliminates the hassle of having to go somewhere else to rent a truck and spend so much more. Craig and Sue couldn't be nicer and are so helpful. Glad I found them! I have been a customer for several years. Craig and Sue(the managers) are professionals in the storage rental business. They are knowledgeable,friendly,helpful and go out of the way to make sure your experience with Security Public Storage is very enjoyable. I've been using Security Public Storage in ASHBURN, VA for over 3 years and counting. I find them to be extremely personable, courteous, and accommodative. My experiences have been awesome and I highly recommend this location. I also must say that the storage facility is very well maintained and order free. I have rented storage space from Sue and Craig's facility since 2006/2007 and they have always been very helpful and accommodating. The first unit I rented was a closet and when a job opportunity would have put me overseas for a couple of years, they were very thoughtful & more than willing to work with me in the event that a payment or two were late due to the mail and /or internet not working properly. Most recently, I needed to move my "stuff" (never ends) to a larger unit and they found one again, not far from one of the main doors. I would recommend this facility to anyone! Sue and Craig's dedication to customer service alone is very much worth using the Ashburn facility. I have been with this storage facility for 10 years and today, I met Craig and Sue, current management team. What a pleasure it was for me to finally meet them. These two are the real deal; down to earth, humble and yes, much respect. If you have not had a chance to meet them, please make an effort, swing by and see why this establishment runs as smooth as it does. Ambiance, cleanliness, and security has always been the mantra for SPS and Craig and Sue has added the customer service aspect to it. Thank you for the warm and awesome services that you bring to your customers. Facility (inside and out) and grounds are very clean, orderly and welcoming. Craig and Sue we excellent to work with, and able to meet my needs expertly. I really enjoyed my experience. Great storage. Clean, great staff that's always helpful and friendly. Plenty of room for a 20 foot uhual and spots near multiple doors makes it easy. I am a repeat customer and highly recommend Security Public Storage for your storage services. The facility is 1st class in cleanliness and security which gives customers the ease of knowing that their assets are protected. The service is impeccable. The storage facility is clean, well lit, and has carts ready for use. The managers, Sue and Craig, are very friendly, nice, and they helped with what I needed. Thats such a breath of fresh air. I was able to come in and get my storage unit in a very efficient manner. I would highly recommend this facility. Its very clean and the managers make the transition so pleasant. Thank you!!! This facility is very clean. Great customer service and support. The location is perfect! I would highly recommend them to anyone needing storage. The staff and the facilities are top notch. I have rented a unit for about 6 months. Everyone is very friendly and goes out of there way to be helpful. Easy access and always a cart within a few feet when you need it. The place is always immaculate! Everyone was so incredibly helpful with our rental unit. We also got excellent advice about packing and were able to buy packing supplies in the front office. A wonderful experience. I cannot say enough about the quality of the facility, and most importantly, the staff. I have been there approaching 4 years. Pricing is very competitive, grounds and facility is kept clean, and there are always a kind word exchanged between the manager and myself. For the past 2 years, they have also supported a few community service projects in which I sponsor with community-based organizations and programs. They have become a leading partner in providing services to those less fortunate by offering supplies and space for collecting and packaging goods. Why a great relationship and I am very much appreciated!!! Truly one of the BEST in the area! One stop shop! Great prices and most importantly, VERY SAFE AND SECURE! Very happy with my decision. Staff are amazing and always available to help. Highly highly recommended! Very reasonable prices. Admin is awesome! Always available to help. We use it for business and be here for months now. Not even one complain! You wont go run with this storage facilities. Craig and Sue and the facilities are excellent. I have rented a unit for about 6 months. Everyone is very friendly and goes out of there way to be helpful. Easy access and always a cart within a few feet to move your articles to and from your vehicle. The free use of their 24 Ft moving van is a huge plus. The place is always immaculate! This is the best storage facility in the world! The managers always greet us warmly and provide assistance with anything we ask. Their priority is excellent customer relations and they meet the standard many times over. They are never too busy to help us. I highly recommend this storage facility because its the BEST!!! Nice place, very clean and well kept. Good communication from the owners on your unit or things like accessing the unit. My wife and I have rented a unit from them for the last year plus and in the time we rented our first unit we asked to change units and get a different size. They worked with us and were very accommodating when we switched. We would rent from them again if needed! I have been a customer of SPS in Ashburn, VA for about four years. During this time I have had numerous interactions, over the phone and in-person, with both Sue and Craig, and every one has been professional, courteous, and has made me feel like a valued client. Recently this facility underwent a re-surfacing of its access drive lanes, Leading up to this event, Sue and Craig ensured that I and their other clients were kept informed by several emails about the timing of the re-surfacing so we would know when our units could not be accessed (for a short period). Their communications were brief, informative, and made me feel like they wanted to be sure I and other clients were not inconvenienced. It's so nice to interact with people like them who obviously hold client service and professionalism as important core values. Great business with accommodating staff. My unit was clean, easily accessible, and in excellent condition. The pricing seemed very reasonable especially for a secure climate controlled unit, and the sign-up/termination process was quick and painless. Highly recommend! My husband and I have used this facility for about two years now, after switching from another local storage facility. We could not be happier with this move! The staff is fabulous, Sue and Craig are the best and are super friendly and always helpful! The facility and grounds are extremely clean and well-kept! Highly recommend renting a unit here! 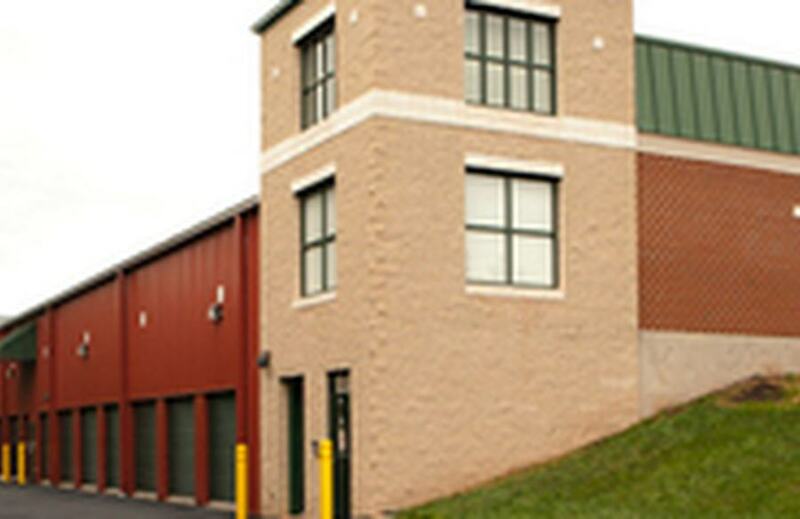 We have had a fantastic experience with Security Public Storage in Ashburn, Virginia. The location was referred to us by our realtor. The staff at the facility have been very professional and accommodating to all of our questions and requirements. I have been very impressed with the cleanliness of the entire facility. This is our first time utilizing a storage facility during a relocation. I would not hesitate to rent another Security Public Storage Unit in the future and I will recommend these facilities to our family and friends. It is refreshing to experience real commitment and integrity in an organization! This place is superbly well maintained. It is always clean and so well managed. It has easy access and accessible most hours. The managers, Craig and Sue are super nice and so very helpful. I highly recommend this particular location for your storage needs. We started using Security Public Storage in Ashburn for business purposes. The facilities and the managers are great! Because of that, when I needed a storage space for personal purposes, I didnt even consider any other storage facility. I got another space! The management is super responsive, always happy to help and answer any questions. They have a lot of packing items, so this is a one stop moving place. Prices are awesome! I highly recommend this storage facility. I have used security storage for at least four months now and it has been great. Sue and Greg have been extremely helpful. The storage facility is clean and very secure. Will recommend everyone in need of a storage unit to give security public storage a try. We just leased a storage unit for our business. Very fast and efficient company. Nice people and very clean. We are excited to be associated with such a great business. Folks that manage Security Public Storage, Sue and Craig are delightful to work with and know. They have an extremely rich network of local resources and services in the Northern Virginia area that come in very handy. Through them I was able to connect with an amazing real estate agent who I bought a property through, a great moving company that moved my stuff without issues and a great and reasonably priced home cleaning service. Its very helpful to use services that come recommended from people who handle them at a professional level. I am very thankful to Sue and Craig for the recommendations and referrals. What I like about Security Public Storage in Ashburn, VA is that I immediately felt like I was with family. It may seem strange to say that about a storage facility but to me, my comment speaks to the customer service. Craig was so welcoming from the moment I met him to fill out my paperwork. He was accommodating and personable and just made me feel like attaining my business was important. Yeah, you can find plenty of storage facilities, but if you want to be treated like a person and not just a unit holder number, Security Public Storage is where you want to be. We have stored our stuff at Security Public Storage for the past year. I really love the facility. It is easy to navigate, very clean, I felt safe and they always had dollies available to help me move my stuff in and out. The office manager and staff are so friendly and helpful. I can't imagine that dealing with one of those multi-level storage facilities is easy. A one level facility with multiple entries makes this a very convenient and easy experience. My boyfriend has been renting from security storage for a few months and cant say enough great things about Katherine, Craig and Sue. They are very friendly, helpful and the facility is extremely clean and secure, everything you want in a storage facility. Best pricing in area too! Sue and Gary are forged in the fires of MOUNT AWESOME. Clone them immediately! Book your unit in person to get help on what to rent and some good references for moving-related services. Peace of mind. That's what you get when you rent a storage unit from Craig and Sue. This facility is well maintained, well lit, CLEAN, easy to access, and SECURE. Craig and Sue provide great customer service, and are always there to help--no matter the issue. I have referred them to my real estate clients, and received kudos for such a great referral. Recently, when I vacated one of my units, I realized, later, that a trunk I had stored (full, of course) was missing the key--which I had taped to the trunk for easy access. Thanks to Craig, he searched the nooks and crannies and found it! When he called me with the news, I was elated. The hassle of taking the trunk to a locksmith was averted. They're the best! Super helpful and accommodating staff! Ive been using them for a year now and recently switched to a smaller space. Sue and the crew were informative and professional all around!! Would recommend!! Great service, great folks, great prices, great place! They're super nice and helpful too. Don't go anywhere else without checking here first! The facility is clean, safe and well managed! They have carts and hand trucks available to help with both moving in and out your stuff. The managers Sue and Craig are just nice people - friendly, helpful and easy to work with. I highly recommend Security Public Storage in Ashburn. The ease of signing up and renewing is amazing! Very competitive pricing. They extended their move in price to me for a couple extra months so they could be competitive. The very competitive pricing, the friendly and accommodating atmosphere that Craig and Sue create, and them always being available to help 24/7 won me over. It is a very CLEAN and SECURE facility. I know my stuff is in good hands and will be kept very secure. I didn't get this sense with other facilities. I would definitely recommend them!! It's the people who work here that make the difference. Its refreshing to go to a business and actually meet people who care. I highly recommend this place of business. Sue and Craig are the best people to work with when storing your things. The place is super clean all the time. 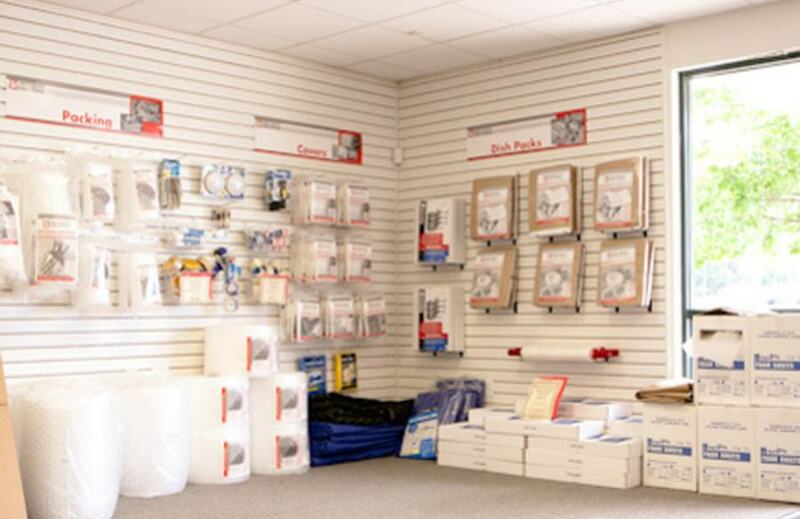 If you need packing supplies, they have every thing you need and at a great price. This is the best storage facility!! This is the best storage facility. It's always clean, and there are hand trucks and carts available at every entrance to help move stuff in and out. Craig and Sue are great - they know everyone on sight and are always cheerful and helpful. I recommend this facility to anyone who needs extra storage space. 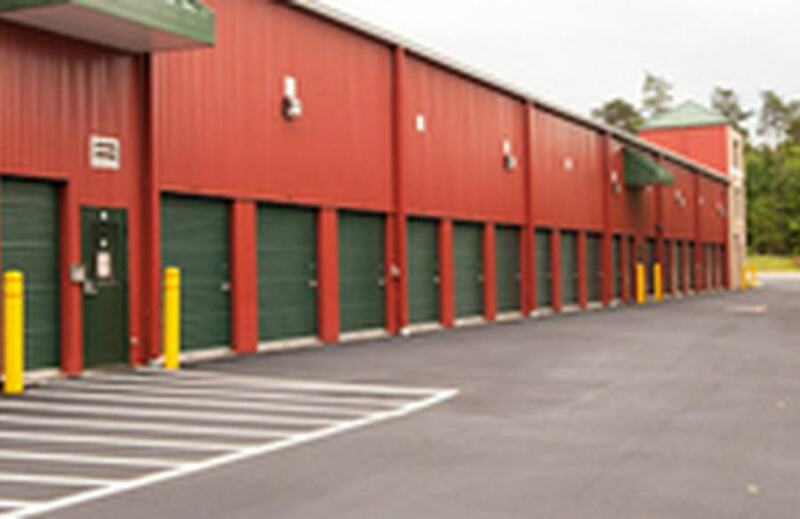 Why Use Our Storage Units?